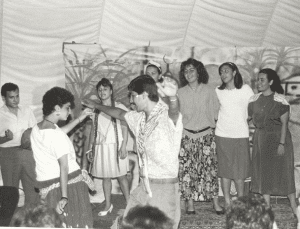 Thirty-three years ago, a small group of just nine participants experienced the Global Youth Village international summer camp (then simply known as “Legacy”) for the first time. Since that time, over 4,000 young people from 105 different countries have come through the gates of the Village. A lot has changed in the world since 1979, but the need for understanding, tolerance, and peace making remains greater than ever. 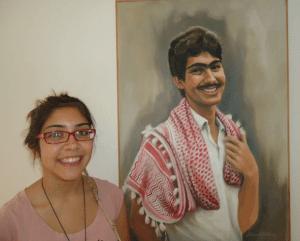 Summer 2012 is a particularly special year for Legacy, because second generation participants Maii Awaad (daughter of Tarek Awaad P’86) and Artis Weaver IV (son of Shelby Shamwell Weaver, P’85) are experiencing the magic of GYV! During the next few years, we hope that many more second generation participants will attend the Village in their parents’ footsteps and learn how to be peace makers!